Murphy’s Law is pleased to present, Shamrock Fest! Set for Friday, March 17, 2017, Shamrock Fest is a St. Patrick’s Day celebration that will be held at the Dr. AJ Chandler Park in Downtown Chandler, AZ. The Fest will include live entertainment, Irish dancers, bagpipe players, festive games, traditional food, themed activities and a beer garden. The Lucky Leprechaun zone will feature Wee Man wrestling while the Kiss Me I’m Irish activity zone will offer a variety of festive fun including jumbo lawn games, stein holding contests, eating contests, cabbage bowling, and a money grab game. In the Bagpipes & Brews craft beer lounge, enjoy a wide variety of local and rare craft beers as well as live entertainment by bagpipe players. 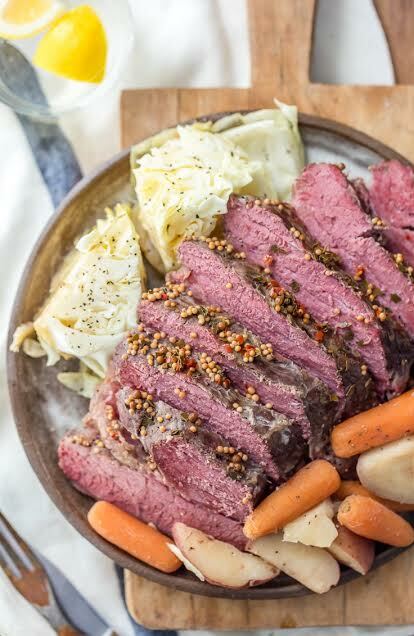 Over in the Four Leaf Clover food court, enjoy St. Patty’s day favorites like corned beef and cabbage, bangers and mash, shepherd’s pie, and more. Presale general admission is $8 online and $10 at the door. This is a 21+ event only. VIP admission is $80, available through online presale only. The VIP zone will begin at 4 p.m. and includes six alcohol beverages, catered food and treats, private restrooms, private seating and front stage access. For more information and to purchase tickets, visit www.Shamrockfestaz.com. Shamrock Fest will be located at Dr. AJ Chandler Park, 178 E. Commonwealth Ave. Chandler, AZ 85225. A percentage of the proceeds from Shamrock Fest will benefit the Downtown Chandler Community Foundation (DCCF), a 501(c) 3 nonprofit corporation whose mission is to mobilize leadership and resources to advance the development of downtown Chandler as a regional destination for shopping, dining, living, culture, and the arts. It works on behalf of the Enhanced Municipal Services District, created in 2006, to provide funds for local nonprofit organizations and special projects that enhance Downtown Chandler. For more information, visit www.downtownchandler.org. Next → Next post: The McDonald’s STRAW: Super or Superfluous?